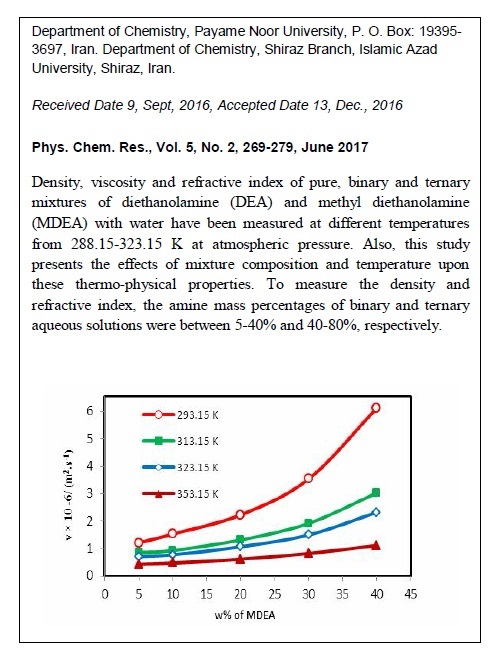 Density, viscosity and refractive index of pure, binary and ternary mixtures of diethanolamine (DEA) and methyl diethanolamine (MDEA) with water have been measured at different temperatures from 288.15 K to 323.15 K at atmospheric pressure. 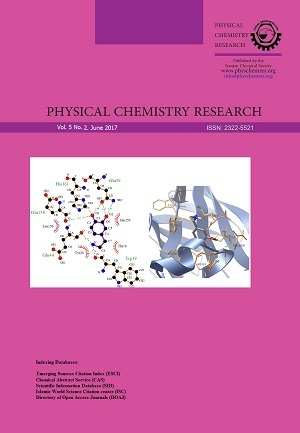 Also, this study presents the effects of mixture composition and temperature upon these thermo- physical properties. To measure the density and refractive index, the amine mass percentages of binary and ternary aqueous solutions were between 5% to 40% and 40% to 80% respectively. For determining the kinematic viscosity, the amine mass percentages for binary aqueous solutions were 5% to 40%. The densities, refractive indexes, and viscosities of 22 binary and ternary mixtures were finally measured.